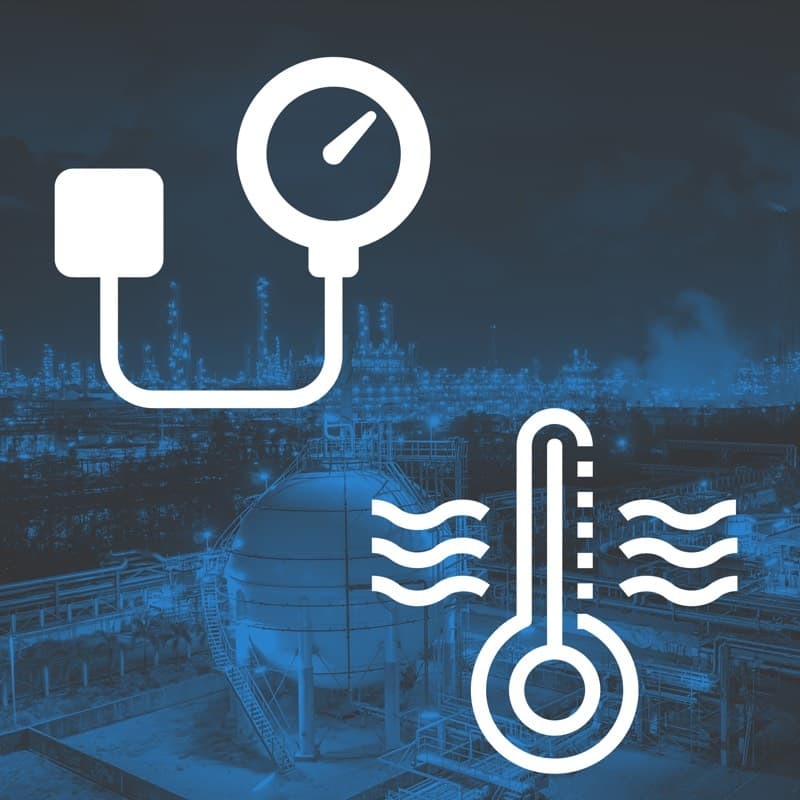 Pressure and Temperature measurement applications are found in all types of industries, including petroleum refining, water & wastewater, chemical, oil and gas, pulp and paper, food and pharmaceutical. These industries require a wide variety of devices, from simple on-off switches, to sophisticated wireless SMART transmitters. The diversity of application environments range from very basic drip-proof protection, to extremely robust designs suited for water-tight and hazardous areas conditions. Miller Energy represents a variety of leading manufacturers of pressure and temperature instrumentation, each providing high quality products and proven designs. Miller Energy offer a complete range of switches, sensors and transmitters for virtually all pressure and temperature applications. A Miller Energy Applications Specialist is always available to assist you with any pressure and temperature measurement requirement.